Spring is a time of April showers, fresh pastures and cows grazing on Petersham Meadows. Children making their way to school, visitors walking along the Thames or residents out walking have all enjoyed this scene for hundreds of years. 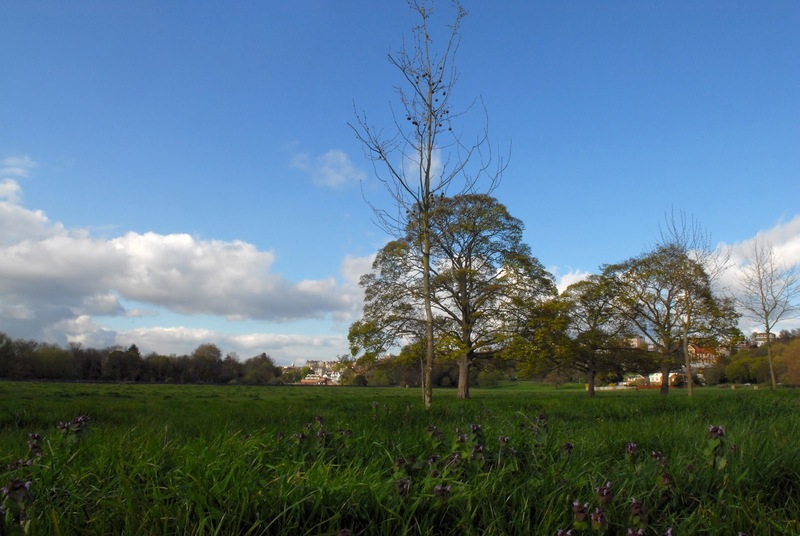 Fortunately we have the National Trust as new guardians of our inheritance and they have some Good News! 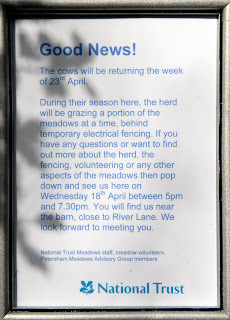 The cows will be arriving late accompanied by an electric fence restricting access to Metropolitan Open Space. It's great news that local residents will be able to walk their dogs (on leads) on the meadows during the summer as they have done for years.